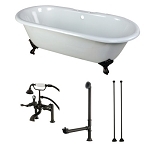 This 54 inch cast iron bathtub is perfect for those who want to place a tub in a smaller space and still enjoy all the benefits cast iron has to offer. 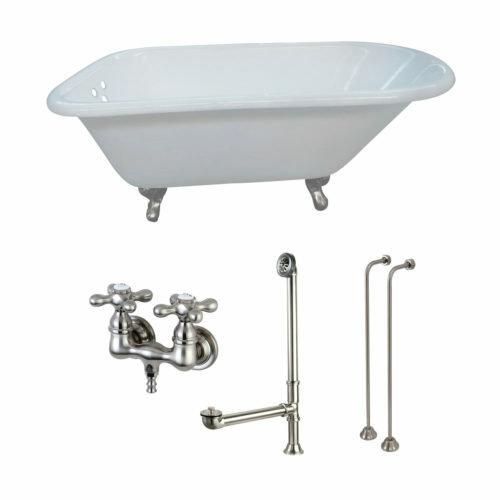 The classical roll top tub adds a vintage touch to your home bathroom. 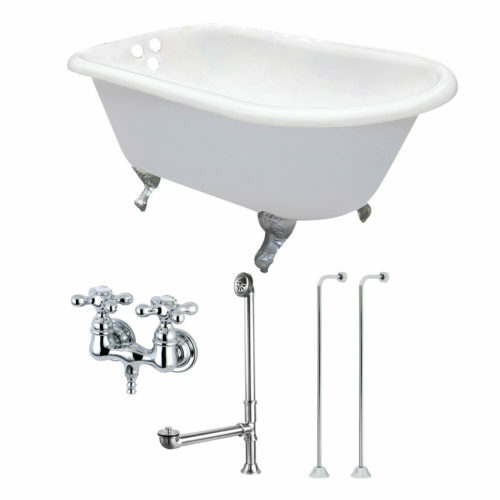 With timeless styling and ornate tub feet, this tub will provide warmth and durability because of its cast iron construction. 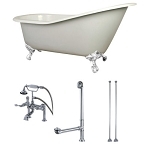 Combo set includes tub, faucet, drain and supply lines. 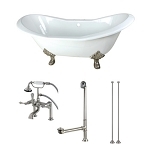 Tub Faucet, Drain, Supply Lines and Clawfoot Tub Legs available in your choice of Chrome (image 1) or Brushed Nickel finish (image 2).